August is Family Fun Month — the perfect time to make lasting memories with your little ones. Last year, Americans spent an average of $941 per person on summer getaways, according to a 2016 American Express Spending & Savings Tracker survey. That equates to $3,764 for a family of four. If you’re worried you don’t have the extra cash to fund a summer vacation with your kids, don’t sweat it. Here’s a list of 20 fun — and free — things to do with your kids, so you can celebrate Family Fun Month this summer without straining your bank account. Many businesses offer do-it-yourself workshops where an instructor teaches fun activities for free, so make it a family affair. Check with your local farmers market to see if it hosts free nutrition and cooking classes, suggested Amy Chang, lifestyle savings expert at Slickdeals. Check your city calendar to see what kids’ activities are available for free this summer. Have fun with the family by embarking on an exciting geocaching adventure. This modern-day treasure hunt is a great way to explore your city, and sometimes people even leave free stuff for the next lucky geocacher, said Chang. This has been a childhood favorite for decades. Chang recommended enjoying free family fun by building a fort with your kids and cozying up inside to read some books together. You can even get a free two-month membership to Audible.com and free eBook offers at sites like Slickdeals. During the summer months, there’s a plethora of free outdoor concerts across the country, so Chang advised adding this to your list of ways to save money this summer. Check your local community calendar to find details on concerts and other live entertainment in your area. Give free summer fun a philanthropic twist by teaching your kids to be kind-hearted citizens. Chang suggested volunteering to walk dogs from a local shelter, or — if you’re cat people — donating some time to help out at a cage-free cat shelter. These animals often lack socialization and affection, so why not take the kids to play with some furry friends for an afternoon and do some good in the process? Looking for a places to go with the kids? Many Lego stores host free monthly Mini Build events, so Chang recommended checking to see if your local store offers these fun kids’ activities. Not only do kids get to learn how to build a really cool model, they also get to take their masterpiece home for free. “Go on a day trip and let the kids take photos,” Chang said. Find a promo code to print an album for a discount, or simply have fun making a free digital slideshow to send to the grandparents. Sinclair suggested turning a trip to the grocery store into a fun kids’ activity by using the grocery list as a treasure map. Assign each child certain items on the list — offering a few clues if necessary — and let them search the store to find them. Of course, you’ll need to accompany little ones, but let them lead the way. If you use your imagination, you’ll realize you have plenty of free activities for kids right in your garage. Museums are one of the best places to go with kids because they expose children to culture without costing a fortune. You can even go for free by taking advantage of free museum days, suggested Lisa Furuland, family travel expert and founder of the DockATot baby lounger. “Turn off the TV and enjoy some personal interaction with the kids,” Furuland said. “Playing together builds bonds and makes memories.” She suggested teaching classic kids’ games, like hide-and-seek and freeze tag, allowing you to pass a fun tradition from your childhood on to them. “Most libraries offer story time for toddlers and families,” Furuland said. “Not only is it a great way to interact with other families, it also helps [kids] develop a love for reading.” Check the activity schedule at your local library to find an age-appropriate event for your kids. Let your kids take over and record a video message for their grandparents, aunts and uncles or other close family or friends. It’s fun for kids to stretch their creativity. “Put on dance music and release pent up energy,” Furuland said. 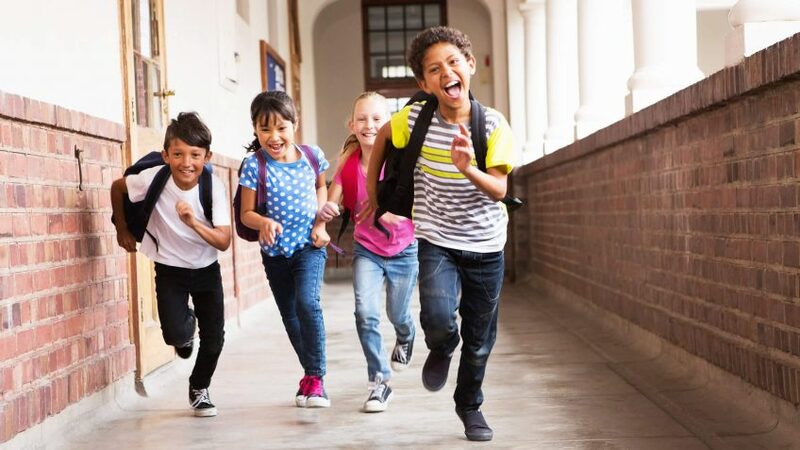 This is a great time to teach them classic moves like the “Chicken Dance,” the “Hokey Pokey” and the “Electric Slide.” This will keep your family active while allowing them to let loose. Camping tops the list of fun things to do for families, but during the summer, campsites can get crowded. Much cheaper and easier than heading to a campground, this fun activity is also a smart way to introduce young kids to camping, helping you gauge whether it would be a good trip for your family someday. “Sleep outside and make s’mores,” Furuland said. “Tell scary camp stories and look at the stars.” Roll out the sleeping bags and the tent if you have them, and enjoy the outdoors together. Before beginning the hunt for back-to-school deals, gear up for the school year by clearing out your kids’ old clothes. You can make the process fun by turning it into a fashion show. Hold a family competition to see who can come up with the craziest outfit and donate anything that no longer fits, or isn’t worn often enough, to charity. Dress up in your Sunday best and gather your family for a tea party. Don’t forget to invite your kids’ favorite dolls and stuffed animals to join in the fun, too. You can even make tiny treats for everyone to enjoy together. If you’re searching for free entertainment while on a road trip, capture your kids’ attention by playing the license plate game. See how many license plates from different states your family can find during short and long car trips. “Get on your local tourism website and learn about what’s in your own backyard,” said Grainne Kelly, founder of the BubbleBum inflatable booster seat. Kelly suggested using Family Fun Month to visit local landmarks, parks, arboretums, gardens and lakes, packing lunches and snacks to bring along. “It’s a great way for families to spend time together and gain an appreciation for where they live,” Kelly said. When you’re talking about fun places for kids, national parks rank highly. If you’re lucky enough to live near a national park, August is the time to visit. The year 2017 marks the 101st birthday of the National Parks Service. In celebration of the event, all national parks will be free to visit on August 25. The best sales in August are in the swimwear and back-to-school departments.